it's like working from home. 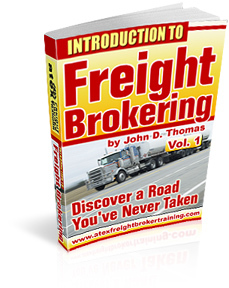 Benefits YOU Can Expect Working As a Freight Broker." Lastly, my "premier" audio CD is in the works. Have a great week. This is John in El Paso.